Through this real life experience he leant what thousands of Professors of economics are not – that it is employee’s work that creates wealth – and that the key to a company’s performance is leadership and commitment; leadership and commitment from everyone in the organisation. That leadership is important should be readily understood by socialists. He is therefore a strong advocate of employee ownership and the book presents his own experience of turning his family business into a workers’ cooperative and his own views on the benefits of such ownership. He notes that because workers are so used to being ignored and exploited even the most minimal change, such as being allowed to own shares in the company, have positive effects in boosting productivity and performance. He also notes however that such schemes transfer no real influence. He is therefore clear that what is necessary is ownership because without ownership there is no real control. Employee owned businesses do better because their workers are better trained, contribute more to the business and are more adaptable to change. They generally do not suffer from underinvestment, do not lack ‘entrepreneurial’ spirit and do not exhibit shirking as workers monitor each other’s work effort. Academic studies show them to be more productive and, while business problems are not solved by employee ownership in itself, or prevent strategic mistakes that may threaten the company’s existence, employee ownership will help the company survive longer. If you own something you will look after it better. In contrast he claims that the participation of everyone in decision making, and everyone being equally affected by the decisions made, makes for better decisions. In his quest to turn the family company into a workers’ cooperative he was repeatedly told by finance advisors and other professionals that this was not a good idea. The Market is always right – by definition. He quotes one supporter of employee ownership who complains that workers normally have none of the rights associated with ownership, such as information, participation and control, and that while capitalism is good at creating capital, it is lousy at creating capitalists. The view that cooperatives make capitalists of workers is one also heard from trade unions and argued as a reason to oppose workers’ ownership. The author provides many examples of real employee ownership where workers have struggled with issues of productivity and competitiveness and where jobs have had to be cut because of threats of wholesale closure. However the view that the Market is inimical to workers’ cooperatives is interesting because in strict logic this is obviously not the case while it is also not the view most widespread on the Left, which is that workers’ cooperatives are simply not an alternative to capitalism because the market does not disappear and therefore capitalism does not disappear. But it is not at all that simple and the hostility of some defenders of the market to worker owned companies is perfectly rational. Irrespective of this the author notes that every generation throws up experiments with workers’ ownership but that most often this is not the result of the initiative of the workers themselves but arises from existing owners, from unusual individuals who stand against prevailing orthodoxy. Who, from ideals of fairness, from appreciation of the contribution made to the company by workers, or realisation that the company can do better under their ownership, seek to transform ownership of their business. Among the many issues arising from the idea of employee ownership, access to finance is often held up as the insuperable barrier to a business owned by those who work in it. However the author notes that millions of small businesses do get access to finance, that most companies finance themselves from their own resources or can get started on the basis of the business itself, with funding based on sound business plans or backed by existing assets. 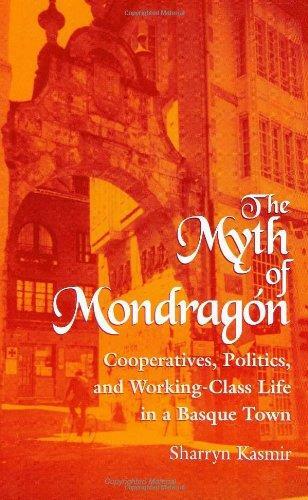 Or, in the case of the Mondragon cooperative in the Basque country, the workers can set up their own bank to finance their other cooperative initiatives. This he contrasts favourably with the massive funding of mergers and acquisitions by private companies, which have a consistent record of failure, and the funding of property and other asset bubbles. Mainstream dismissals of the viability and efficiency of workers’ cooperatives ignore the actual history and experience of capitalism as opposed to the mythical equilibrium properties of mathematical models of the market that exist nowhere outside of the models. The massive increase of executive pay is ridiculed as an example that explodes the glib justifications of the market – that high pay for those at the top is simply the outcome of the interplay of supply and demand. The demand for executives has not increased exponentially in line with pay but demand, fuelled by the cult of the capitalist exhibited in the growth of business schools and the MBA, alongside TV programmes such as ‘Dragon’s Den’ and ‘The Apprentice’, has seen supply multiply. So why has the price risen? Even if it could be argued that the demand for executives lies behind massive increased remuneration (to use the prevailing argot) the market is then supposed to increase supply to drive down prices to an efficient level. Why hasn’t it? Is it not working or is it rather that this is not how it actually works? In the race to justify the rampant growth of inequality we now read about the ‘winner-takes-all’ society, which states baldly that market competition rewards those who win not those who come second or third or the rest. The problem with this of course is that it is contradicted by the reality in which executive failure is still handsomely rewarded. More worryingly for its proponents it contradicts the claim that the market rewards efficiency and is fair even minimally. The author rejects many of the fashionable corporate claims. For him employee ownership makes companies work better and their workers lead happier lives. The contract of employment, which a worker signs, removes his right to his own product and pretends that he or she is a thing that can be rented. Through case studies he argues that ownership make workers feel different – just as capitalism says it is supposed to! But, he asks, why should such an effect be restricted to a few? He has had enough experience to acknowledge the difficulties, not just of creating cooperatives but of running them. How do you ensure workers’ actual as opposed to nominal participation and how do you deal with sometimes unrealistic expectations? How do you overcome apathy among the workers? After all, it is necessary not just to limit and control power exercised at the top but also necessary to ensure that it is wielded to effect at the bottom. He addresses these questions and gives some practical answers, such as ownership being held collectively and not individually by particular workers. This, he claims, has been the mechanism that ensures longevity of cooperative enterprises and obstructs private capital inserting itself and gaining control. He acknowledges however that there is no obvious answer to what he calls the corporate governance problem. It is exactly this question that is addressed by this recent blog post. It is also only a Marxist approach that can address some of the apparently incongruous workings of capitalism that the author points up, such as why does it limit ownership of capital and not spread it around? For a Marxist the obvious reason that capitalism does not encourage workers’ ownership is that by restricting such ownership capital compels workers to sell their labour power to those that do own capital and impels them to work on their behalf. If all production was owned by workers then clearly an individual capitalist would be unable to compel anyone to work for them. If all production was owned by the workers then equally clearly such production would be geared to what the workers wanted to produce and not to what capitalists believe would make them the most profit. On both accounts production for profit would end. Capitalists could find no one to provide the unpaid labour on which profit is based and the enterprises owned by the workers would have no incentive to pursue wasteful or aggressive competition aimed at forcing other enterprises out of business. In fact they would have every incentive to collaborate in order produce in a way that met their collective needs. When ownership becomes collective workers will feel differently but this simply demonstrates the truth of Marx’s claim that capital is not a thing but a relationship between capitalists and workers in which the unpaid labour of the latter expands the capital belonging to the former. When workers own all the so-called capital it ceases to be a relationship between an owner and a worker, between an exploiter and exploited, and ceases to be capital. When ‘capital’ is owned by everyone it ceases to be owned by anyone in particular so ceases to be capital. This is why, unrealised by the author, the extension of workers ownership would spell not the expansion of capitalism but its ending. Again and again the author reflects on how difficult it can sometimes be to get workers to think and act as owners of the enterprises they work in. For Marxists this is indeed a big problem and is what we mean by saying that we need a revolution to change things, including changing the workers themselves. Because a revolution is about transforming the lives of the working majority, which they can only do themselves, this includes transforming the vast amount of their lives they spend at work. Probably unlike the author, we believe there are all sorts of obstacles and impediments put in workers way to gaining control of production, impediments that require workers taking political action to remove. Production is only one aspect of how society works and attempting to take control of it requires ultimately taking control of the rest of society as well. Taking control of society as a whole also reinforces the activity of workers control within the workplace. It is also the Marxist case that ultimately no permanent and stable workers ownership or control can succeed unless the workers also control the state to defend such ownership. There is therefore a real contradiction between workers cooperatives and capitalism, pace the author of this book, and equally no contradiction between cooperative production and revolution, pace the left opponents of workers’ ownership. In my last post on workers’ control I noted that it inevitably arose as a result of crisis, and crises are by their nature temporary, occasioned by society-wide political upheavals or by threatened closure of a particular workplace that is perhaps producing unnecessary products, is working in an obsolete manner or is otherwise failing to compete successfully in the capitalist market. In Britain in the 1970s there were more than 260 occupations of workplaces by their work forces including, perhaps most famously, at Upper Clyde Shipbuilders in Glasgow, usually sparked off by closures, layoffs, redundancies, dismissals or threats of closure. Such occupations were spontaneous, often acts of desperation and with no real planning. If successful, the numbers occupying would be offered jobs by a new employer although this number would usually be less than when the occupation would have begun. When no new owners would appear the occupations might attempt to become workers’ cooperatives but the motivation was normally a pragmatic search for a solution rather than something drawn from political commitment and ideology. The occupations were often built by shop stewards and sometimes at odds with the official trade union movement, a situation we see again and again and a result of factors far from accidental. The theme of ‘industrial democracy’ was very much alive and in 1974 the Conservative Government called a general election on the issue of “who governs Britain”, in direct reference to the miners who had engaged in successful strike action. The Tories lost and the new Labour Party Government included Tony Benn, who wanted greater involvement of workers in their workplaces. He also came into conflict with trade union leaders who opposed his dealings with rank and file groups of workers. “The whole machine is against you” Benn told one supporter of an occupation at Imperial Typewriters. Workers’ cooperatives received the support of Benn, who was in a position to do something as Minister at the Department of Industry, but his financial help was relatively small and most industrial aid continued to go towards private industry. That which did go to the cooperatives was mainly for compensation to previous owners who were paid for obsolete plant. This left the new cooperatives under-capitalised and without the necessary resources to carry out research and development. They generally lasted only a short space of time but still sometimes produced radical, innovative and still exemplary struggles. One such was as at Lucas Aerospace, where workers pioneered conversion plans to socially useful production, again opposed by the union leadership. By the end of the decade however these types of struggles had declined dramatically. Few of the experiments in workers’ ownership survived and as history is usually written by the winner the victory of Thatcher, built on the attacks on workers commenced by Labour, left a legacy of disappointment and nostalgia in some old enough to remember. This has affected the Left up to today in so far as it is suspicious, if not actually hostile, to workers’ cooperatives. This is a profound mistake as the willingness of workers to fight for ownership and control of their own workplaces is an instinctive impulse to go beyond capitalism. The history of American workers organisation in the 1930s is perhaps more celebrated than this experience but in some ways was more limited. Workers and trade union power grew during the decade not just because of the struggle of workers to organise, most famously in Minneapolis, but because of the strong growth of US manufacturing industry. Between 1936 and 1939 workers occupied 583plants in sit-down strikes in defence of their terms and conditions, protection of wages, achievement of union recognition, or prevention of sell-outs where recognition already existed. These were often successful. Unfortunately there followed 70 years of union-management collaboration – no strike agreements during the second world war; the witch hunt and expulsion of socialist activists in the McCarthy period; mob penetration of the union movement and the turning of the union bureaucracy into a world-wide vehicle of the US state in its cold war with the Soviet Union. The US union movement has now declined so much that in most of the private sector it is irrelevant, with unionisation accounting for only 7.5 per cent in the private sector in 2008. In some workplaces where unions do ‘organise’ workers are not even aware there is a union! The history of American workers’ militancy drives home a lesson to be learnt from the British experience of the 1970s and 1980s – that politics are not only determined by workers militancy and their experiments with workers control but that politics can influence decisively the short and long-term success of these experiments. In the end the question of politics is crucial, which is why Marxists believe that working class conquest of state power – revolution – is decisive. It is important however not to telescope the path to this destination. Revolution is decisive only if the material basis for working class rule is present. This is not simply a question of the level of economic development but of the social and political development of the working class. Without both of these the question of revolution is not posed practically i.e. in reality, no matter what more general ‘crisis of capitalism’ is evident. The analysis of workers’ control in these posts is based on the belief that working class conquest of state power is necessary but that the immediate question is how to make that a widely shared goal given the low level of class consciousness and struggle than now pertains. It is therefore important to attempt to draw lessons from the impact of political developments on workers attempts at independent organisation in the workplace. In turn we can then look at the role of workers’ organisation in the workplace for its impact on wider political struggle. This will reveal the limits as well as the strengths of a workplace-based strategy and what political demands should be raised as a result. Such lessons informs the opposition to calls for nationalisation that have been argued in many earlier posts. For example in the Spanish revolution in the 1930s it was the Republican state that strangled the workers’ and peasants’ collectives rather than the fascist counterrevolution. Clearly in this case a call for this government to nationalise such collectives would not have made much sense. Anarchists believed these collectives were a means of controlling the Republican authorities but clearly what was needed was an alternative Government and state – perhaps built on these bodies. In Yugoslavia self-management was a means of mobilising the population against economic blockade and potential invasion, boosting production, minimising the power of the trade unions during a labour shortage and hoping that the workers would discipline themselves. Unfortunately self-management as then practised led to accusations of workers’ neo-capitalism in which the enterprises were seen as the workers property, narrowly conceived, so that they competed with each other in a capitalist-like manner. Self-management became not a means of workers self-realisation but a trade union-like bargaining system of clientelism and patronage. Increased enterprise autonomy acted to dissolve wider working class solidarity leaving enterprise loyalty and territorial state loyalty as the alternative, one which ultimately descended into bitter and bloody nationalist war. On the way to this dénouement it has been argued that enterprise autonomy became a mechanism to insert the Yugoslav economy directly into the capitalist world market. Increased autonomy became the means of strengthening management power not workers’ autonomy. Both Spain and Yugoslavia are testament to the fact that without real working class political and state power workers’ control can be subverted and/or crushed. I have argued that it is the lack of workers’ economic power and experience before revolutionary crises that has weakened the struggle for their class rule thus making revolutionary success less likely in such crises. But it is also true that such episodic economic power is doomed without a political project. In Poland workers councils existed in 1945, 1956, 1970 and 1980-81 but revolution there became a restoration of capitalism. In nationalist revolutions, such as in Indonesia, the most radical actions of workers are betrayed by a backward political consciousness; as when workers control is achieved and defended not as an extension of workers’ power as a class but as the property and achievement of the new independent (still capitalist) state. This state can indulge in the wildest revolutionary rhetoric but as long as its power is not an extension of that of the workers it is just rhetoric, to be retracted when the new state feels itself more in control. It succeeds in this as long as workers power is mistakenly seen by its holders as the gift of the newly independent state. The examples of nationalism trumping the radical actions of workers are legion and proof again that revolutionary action does not automatically generate revolutionary socialist politics and consciousness. What is clearly decisive is workers’ own consciousness and workers control, self-management or councils are not in themselves decisive in determining it. This however is not the question and not the argument being put. There is no ‘magic’ strategy guaranteeing a workers’ victory but there are more or less adequate roads and strategic conceptions. The argument here is that workers’ control, and in the longer term, workers’ ownership can provide a more solid, permanent and robust material basis for the development of the necessary socialist consciousness than simple trade unionism, no matter how militant. More realistic than reliance on spontaneous political revolutions to do all the work of consciousness raising in the necessarily short space of time in which they take place and certainly more than demands for nationalisation, which for example were obviously meaningless in both Yugoslavia and Poland. What workers ownership should do is provide a basis and foundation for a political programme that seeks to extend and deepen this form of ownership and give it a political dimension, to make easier removal of the division between the political and the economic that characterises capitalism. Workers’ collective control and ownership of the state can be more easily argued for on the basis of their wider ownership in the economy. The argument is more easily advanced if there exists a successful worker owned and controlled sector of the economy that can be presented as an alternative to the capitalist owned sector or the illusion that a benevolent state can take ownership of the latter in order to benefit workers. On this basis the socialist project can become a political one for which the ideal form to advance it is a mass workers’ party. Such a project can begin to win the battle for hegemony within societies which are currently dominated by capitalist ideas despite the objective failures of that system. 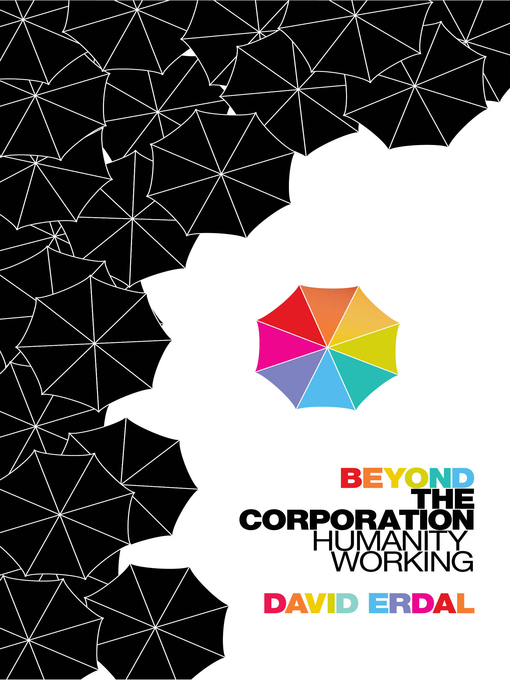 A real material basis for an alternative is provided that can focus generalised discontent that now expresses itself in free-floating ethical concerns for justice and can find no more specific or concrete alternative than vague calls that ‘another world is possible.’ Instead through development of workers’ cooperatives and the wider labour movement another world is built in front of our eyes. The absence of such hegemony of ideas, and its corollary – that no alternative to the capitalist system seems possible – results in the upheavals that returned societies to capitalism in Eastern Europe and the Soviet Union. This wider and deeper lack of legitimacy of the socialist project weighs heavily on the spontaneous activity of workers even when they have engaged in the most radical activity. 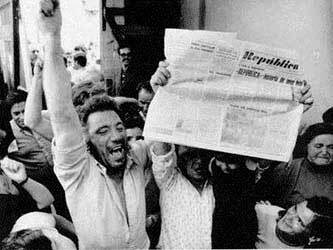 In the Portuguese revolution in 1974 a movement within the army overthrew the dictatorship and between May and October of that year 4,000 workers’ commissions were established following mass meetings. Not only factories but empty houses and apartments were occupied. Within these commissions political competition developed between the Portuguese Communist Party and smaller revolutionary currents. A failed right wing coup shifted events further to the Left. Workers councils became not just organs of control in the workplace but organisations of struggle that could potentially threaten the power of the capitalist state. In the end however they proved too weak and were unable to pose a political alternative to the quickly developing normal organisations of capitalist democracy – trade unions, political parties, parliament and the state. In the end the Portuguese Socialist Party became the mechanism for a stabilisation of capitalist rule and bourgeois democracy. Short-lived experiments in workers control and ownership were not in themselves capable of establishing hegemony for the project of workers’ state power. A deeper and wider radicalisation was required. The point is that this can take time and can only come about through the development of socialist consciousness in the working class over a more or less extended period and this must rest on a material base. This can only be the development of the power of the workers in existing capitalist society, expressed in democratic trade unions, political parties, cultural organisations and workers cooperatives. The opposite of this road is reliance on the state, expressed in the demand for nationalisation. In Spain, Eastern Europe, Indonesia and Portugal it was the State which became the guarantor of capitalist ownership and power. Today we are in circumstances where workers must not only defend themselves against the depredations of capitalism – battling against austerity – but socialists must also look to ways in which to advance a workers consciousness that seeks permanent expression of their needs and powers. Not just defending immediate interests but looking and taking care of the future of the movement and workers’ position in society. But it is not simply about the needs of the present as against the needs of the future because Marxism is the belief, confirmed by nearly two centuries of industrial capitalism, that it is not possible to satisfy the needs of workers today by only fighting today’s battles. A socialist society is the future only because it is the answer to the challe-nges and problems of the present. The demands for workers control and ownership express this view and are rejection of the clam that the existing capitalist state, by nationalisation etc, can provide the answer. In my review of the programme put forward by the left in Ireland, generally no different from other countries across Europe and further afield, I have argued that while it may be better for workers than the current austerity policies it is not socialist. By this I mean that it does not involve a class alternative, an alternative to capitalism, one that involves ownership of the means of production moving to the working class. Only in one area is this not the case: the Left’s occasional demand for workers’ control. Even in these cases I have argued that the proposals are not put forward within any real practical perspective but put forward in such a way that they must assume a near revolutionary situation. Demands for widespread workers’ control are only a practical proposition in such circumstances. One small means of doing this recently was, when the banking crisis erupted, members of Socialist Democracy leafleted bank workers in Dublin asking them to let other workers know what was going on in the banks through leaking internal emails etc. This small step abrogating business secrecy is a first step to workers’ control. The poor response showed that the preparatory work described by Trotsky had yet to begin. In this post I want to look at what is meant by workers’ control and how this is a result of the working class’s historical experience of this means of struggle. The experience shows that it inevitably arises as a result of a crisis, and crises are by their nature temporary, occasioned by a society-wide political crisis or by the threatened closure of a particular factory that is producing unnecessary products, is working in an obsolete manner or is otherwise failing to compete successfully in the capitalist market. How to institutionalise such control in periods of relative calm is a central problem we will look at in future. Relying on temporary crises to quickly provide workers with answers to the problems posed by their taking control has not resulted in success. Revolutions of themselves do not give all the answers to the problems posed by revolution, at least not unless they are prepared for and prepared for well. Since revolution is the task of workers themselves we are talking about how they can be prepared to take on the tasks of control. Such preparation involves convincing at least some of them them that they should want to control or manage their own places of work as well as how they might be able to do so. Only in this way can the superiority of worker owned and managed production be demonstrated. The historical understanding of what workers’ control means derives mainly from the experience of the Russian revolution in 1917; the only successful workers led revolution. Yet the goal of this revolution was initially a democratic republic, not a workers’ state, with the result that only a ‘transitional’ social and economic programme was on the agenda. A decision to seize power by the Bolshevik Party could not change the level of economic and social development in itself. We can see from an earlier post that this informed Lenin’s view that the immediate economic programme was one more akin to state capitalism than complete working class ownership and power over the economy. This is decisive in understanding the development of the revolution. The workers could seize state power in order to stop the war, support distribution of land to the peasantry and attempt to put some organisation on production but workers could not by an act of will develop the Russian economy under their own control and management, at least not outside of a successful international revolution, and this never came. This approach was supported by the factory committees created by the workers during the revolution. These committees initially hardly went beyond militant trade unionism but did not accept management prerogatives as inevitable and, as the bosses increasingly sabotaged production, they increased their interventions to take more radical measures of control. The workers nevertheless saw the solution to their problems as soviet power and state regulation, evidence by their acceptance of a purely consultative voice in state-owned (as opposed to privately owned)enterprises. This reflected the worker’s weakness, expressed by one shipyard worker on the eve of the October revolution at a factory committee conference: “often the factory committees turn out to be helpless . . . Only a reorganisation of state power can make it possible to develop our activity.” Thus much of the activity of the factory committees was attempting to find fuel, raw materials and money simply to keep factories going and real management was sometimes consciously avoided. Trade union leaders criticised the factory committees for only looking after the interests of their own plants and for not being independent of the capitalists who owned them. The workers in the committees were themselves keenly aware of being compromised by the capitalist owners, of being given responsibility without effective power. While the revolution was supposed to have a transitional character in economic terms, workers were faced with greater and greater sabotage and recognised that the worsening crisis required a solution that could only come from the state, which would provide the centralised control that would combat economic dislocation. The weakness of the workers themselves can be quantified by the decline in their number. In 1917 the industrial workforce in Petrograd was 406,312 but fell to 339,641 by the start of 1918 and only 143,915 by May of that year. 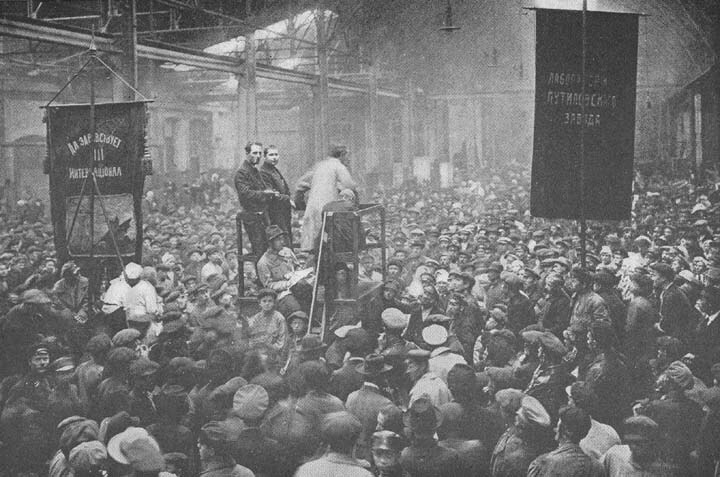 Although more active forms of workers’ control were sanctioned after the revolution, it had been increasing anyway, the steps towards the central state regulation that had been championed were constrained by the lack of an “organised technical apparatus, corresponding to the interests of the proletariat”, as the resolution unanimously adopted by the January 1918 Factory Committee conference put it. Nevertheless the conference called for the immediate nationalisation of factories in a good physical and financial situation. Widespread nationalisation was introduced but it was viewed as a necessity compelled by circumstances, not a positive choice and not one driven by socialist ideology. Alongside this nationalisation was increasing centralisation of economic decision making, which was imposed on the factories. All these quotes are taken from the article by David Mandel in the collection of articles on workers’ control in the book ‘Ours to Master and to Own: Workers control from the Commune to the Present.’ In this he states that the contradiction between planning and workers self-management can be resolved if there are conditions allowing for significant limitations on central control and these conditions also provide workers with security and a decent standard of living. Both, he says, were absent in Russia. More important for the argument here is his view that there must be a working class capable of defending self-management. This too did not exist in Russia and our very brief review shows this. The Bolsheviks were acutely aware of the low cultural development of Russian workers, evidenced through their lack of education, high levels of illiteracy, lack of technical skills and lack of experience in the tasks of economic administration and management. That their numbers declined dramatically, not least because of the demands of the Red Army, leaves no grounds for surprise that this experiment in workers’ control did not prove successful. The limited character of the initial steps in control and the awareness workers had of their lack of skills were revealed in their calls for the state to reorganise production. While certain centralised controls over the economy are a necessity, and this is doubly so in order to destroy the power of the ruling classes, the socialist revolution is not about workers looking to any separate body of people to complete tasks that it must carry out. If workers could not control production they could not be expected to control state power. This was to turn out to be the experience of the revolution and in its destruction by Stalinism the state turned into the ideal personification of socialism. This identification of socialism with the state in the minds of millions of workers across the world continues, a product of Stalinism and of social democracy but gleefully seized on by the right. Since the state is organised on a national basis this also entailed socialism’s corruption by nationalism. The path required to developing and deepening a genuine workers’ revolution lay not in seeking salvation in the state but in workers creation of this state themselves out of their own activity in the factory committees and soviets. The coordination, centralisation and extension of the functions of these bodies would ideally have been the means to build a new state power that could destroy and replace the old. It would also have been the organisation that would have combatted economic dislocation and provided the means for cooperative planning of production and trade with the independent peasantry. In this sense the Russian revolution is not a model for today. While workers control came to the fore in this revolution its limitations must be recognised and a way looked to that would overcome them in future. It might be argued that the backward cultural level of the Russian working class, while acknowledging its high class consciousness, is not a problem today. After all the working class in Ireland, Britain and further afield is literate, educated and with a large number educated to third level education. The working class is the vast majority of society, which it was not in Russia in 1917. Many workers are now highly skilled albeit specialised. This however is a one sided way of looking at things. Firstly on the technical side the very specialisation that makes some workers skilled reflects an increased division of labour that in so far as it is deep, widespread and reflected also in a division of social roles militates against the widespread accumulation of the skills and experience of management and control. Many workers reflect their specialisation in a narrowing of outlook but illustrates that the increased division of labour is foremost a question of political class consciousness which is at least in part a reflection of social and economic stratification of the class. Thus some workers see themselves as professionals – engineers, accountants, managers etc. and regard themselves as middle class. Just like white collar workers and state civil servants in the Russian revolution they do not identify themselves as workers with separate political interests along with other workers slightly below them in the social hierarchy. They do not identify with socialism. Modern society in this way reflects early twentieth century Russia: the working class does not rule society, even at the behest of the capitalist class, but there are numerous social layers (the middle classes) who help the capitalist class to do so, and they imbue into themselves and others the political outlook of their masters. Because the division of labour is increasingly an international phenomenon the road of revolution at initially the national level poses even bigger problems for workers management of production than existed in Russia in 1917. Especially in Ireland production is often a minor part of an internationally dispersed process so that control of the whole is exercised elsewhere. How then do workers take control of such production in any one country especially one lower down the value chain? For these reasons revolution needs to be prepared. It needs prepared in the sense that workers must be won to a fully conscious commitment to their becoming the ruling class of society; a rule based on their ownership and management of the forces of production. In order to achieve this, the force of example rather than simply the power of argument is necessary. In other words workers must have seen and experienced ownership and management. This can provide many with the experience and knowledge necessary to lead the whole class to own and manage the whole economy when such control is the basis for their own state power, after capitalist state power has been destroyed. The best, in fact only way, to prepare for socialism is through practice, practice in asserting the interests of the working class as the potential new dominant class of society. Demands for nationalisation are demands that someone else, the state – because the state is a group of people – create the good society. And when anyone is asked to create the good society it is always what is good for them. I shall look at it some more in future posts.